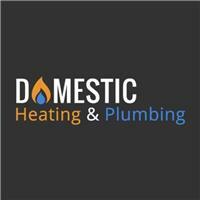 Domestic Heating Services - Plumber based in Staines-upon-Thames, Surrey. Domestic Heating & Plumbing Services provide all aspects of heating and plumbing in the home with over 6 years experience in the trade. From new taps to new boilers at competitive prices from an enthusiastic, courteous and conscientious qualified tradesman. At Domestic Heating & Plumbing Services customer satisfaction is our number one priority. We will work with you from start to finish to ensure you are 100% satisfied with the finished product. Thank you for taking the time to read our page, we look forward to receiving your call.